The world is thirsty. So thirsty, in fact, experts believe the water stress may be the defining characteristic of the 21st century. 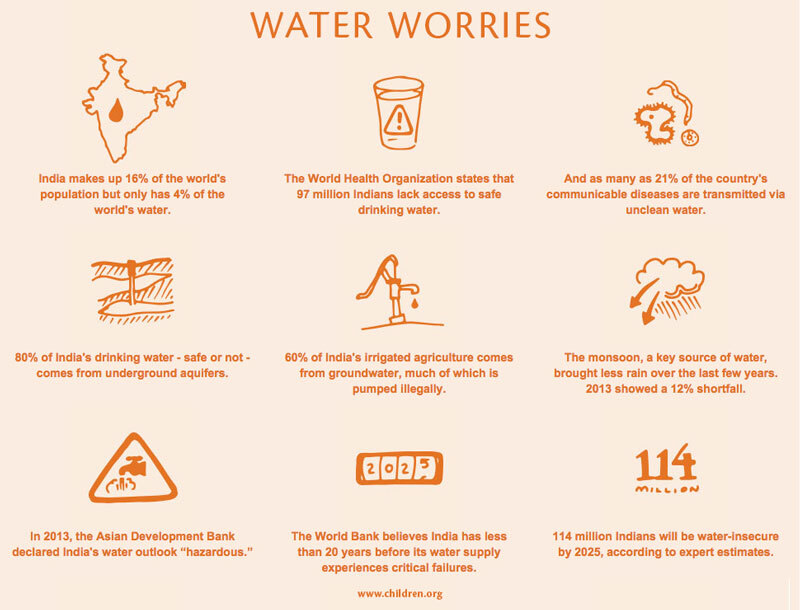 We’re already seeing the result of water insecurity in India. Its agricultural practices are rapidly depleting the country’s groundwater; add in dramatic changes to the monsoon season – another important source of irrigation and drinking water – and you have a disaster in the making. The results? More Indian children than ever are struggling to find safe, clean drinking water. Learn more about how Children International is making a difference through their water, sanitation and health (WASH) projects.